I had the pleasure of meeting Danielle and Josh in Winter of 2016. It was well prior to their wedding in Summer and we had chatted over a coffee/wine, needless to say, we hit it off instantly. I could see on that day, even though Danielle had been rushing around meeting all her wedding vendors, her natural beauty shone through. I knew she was going to look incredibly beautiful and would be a graceful bride. Their devotion to and admiration of each other was so nice to see. It was a fun morning with a great group of lovely ladies who kept Danielle calm and looked after her really well. The arrival of the flowers was spectacular and Jenny from Studio 24 had done an amazing job. Criffel was the venue set up and styled beautifully. 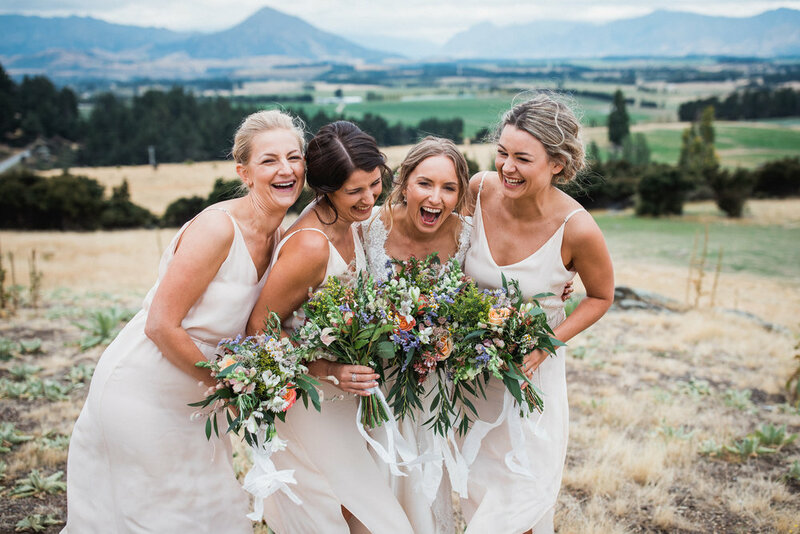 This place is so truly rustic and epitomises a great Central Otago wedding. The area outside lends itself to ambience and fires lit at night all make for a fun party atmosphere for all. The newlyweds snuck away for a photo session with the talented Jim Pollard who ticked all the boxes for epic mountain shots. Danielle and Josh were also super excited about their romantic Honeymoon planned to: Italy, USA and The Maldives. I hope all their desires, wishes and hopes for the future all come true.